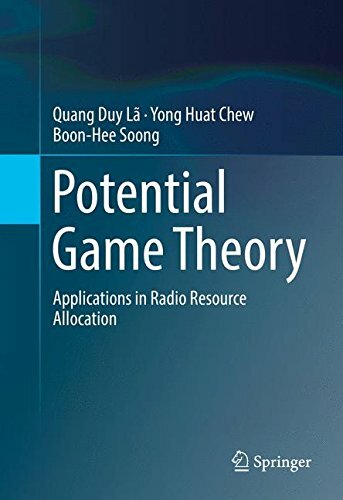 The book addresses two major research goals: how to identify a given game as a potential game, and how to design the utility functions and the potential functions with certain special properties in order to formulate a potential game. After proposing a unifying mathematical framework for the identification of potential games, the text surveys existing applications of this technique within wireless communications and networking problems found in OFDMA 3G/4G/WiFi networks, as well as next-generation systems such as cognitive radios and dynamic spectrum access networks. Professionals interested in understanding the theoretical aspect of this specialized field will find Potential Game Theory a valuable resource, as will advanced-level engineering students. It paves the way for extensive and rigorous research exploration on a topic whose capacity for practical applications is vast but not yet fully exploited. About: This book offers a thorough examination of potential game theory and its applications in radio resource management for wireless communications systems and networking.